We hope this page will be a helpful resource for homework, additional practice and enrichment. If you have questions about the literacy skills being taught, we encourage you to contact your child’s teacher. If you find resources not included on this page that you think may be helpful to other Ramapo Central students and parents, please forward them to Patti Lippman (plippman@ramapocentral.org), Information Services Specialist, in the Office of Instruction. Every student is given a reading level with either a Lexile number, a DRA number, or a Fountas & Pinnell (guided reading letter) based on several reading assessments. Please talk to your child’s classroom teacher to find out which leveling system he/she uses so that you can select appropriate books for your child. Be a Learning Hero–Learning Tools on this site are helpful resources developed by our partners to support your child’s learning in Mathematics and English Language Arts at home. Search by grade level, subject or specific type of resource. These lists have been developed for parents who have requested help in finding books at their child’s reading level. 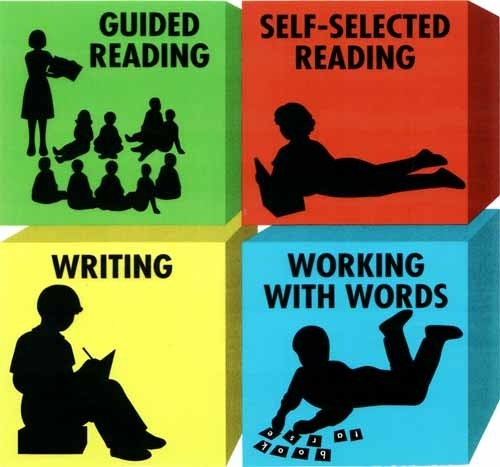 Please consult with your child’s teacher to determine their reading level (DRA/F&P/Lexile). Book Wizard—Allows parents and children to find age appropriate reading material at their Lexile or DRA level. Leveled Book Lists–This handy tool will help you find books for your child based on their Fountas & Pinnell (lettered level). Starfall–This website teaches children to read by using games and phonics. The main demographic is for preschool through second grade. Storyline Online–This is a streaming video program featuring famous people reading children’s books aloud. Read alouds are accompanied by comprehension activity guides. RIF Reading Planet–Enjoy reading and singing along to these fun, animated stories. Between the Lions–Excellent resource for your emerging reader. Interactive games and activities such as recognizing letter sounds are reinforced. Students can have fables and folktales read to them. District-Supported Resources for Student Practice: The following resources are available through Ramapo Central School District subscriptions. Students receive both login information and support from their teacher. As students progress through these resources, teachers may assign specific areas of focus to students. As a result, student login information is unique to each student and should not be shared. Please contact your child’s teacher with any questions about using these resources. Informational Resources: Please peruse these sites for descriptions of the Common Core standards rather than for specific literacy practice tools. The sections below this one offer resources that are more tailored to specific topics in a literacy curriculum. Common Core Learning Standards (CCLS) in Literacy–The CCLS are the standards that determine what students should know and be able to do at each grade level. Common Core Instruction Video Series: Literacy Studio Talk–This link points to a series of videos to explain literacy concepts and demonstrate teaching strategies. Engageny Parent Resources–This site includes resources and a toolkit for parents and families relating to curriculum and assessment. National PTA Resources–This site includes grade-specific summaries of the Common Core standards at each level. They are available in English and Spanish.